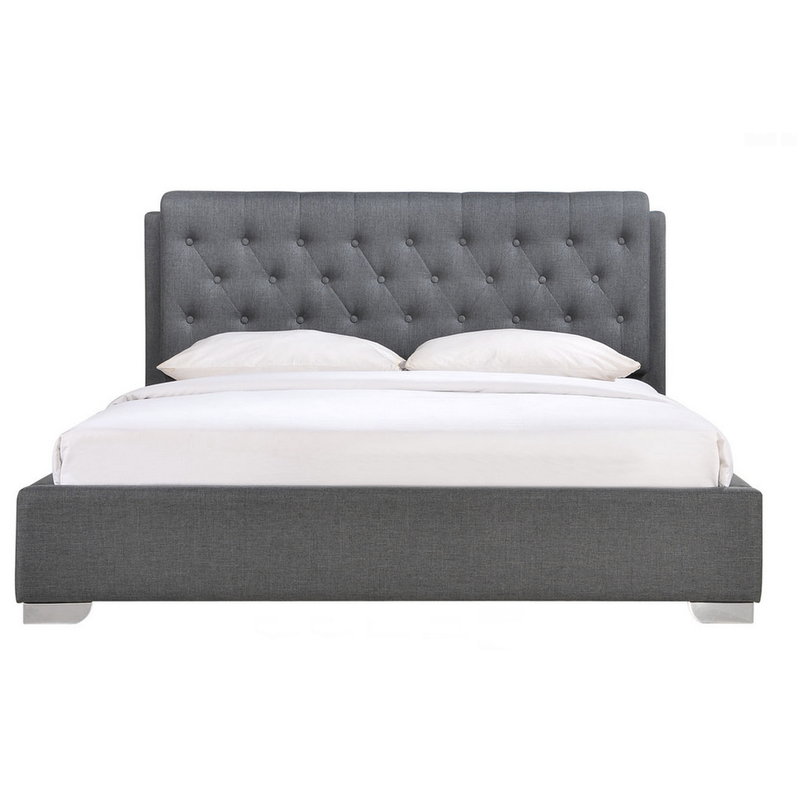 Express your style in the most fashionable manner with Amelia’s tufted wooden bed. 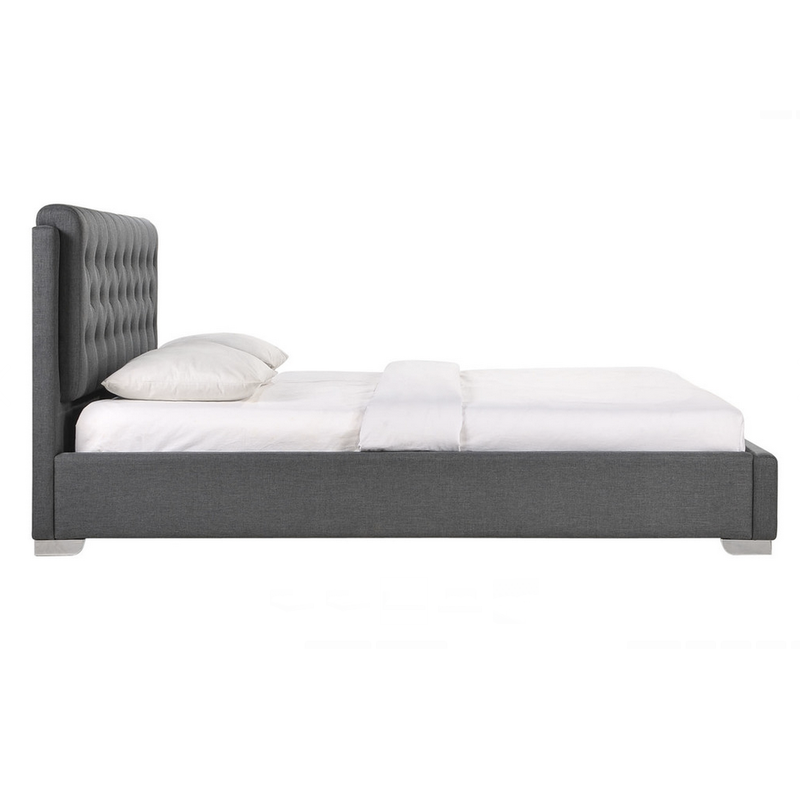 Wrapped with a grey-hued fabric upholstery, the ultra-modern king size bed gives the ambiance of a pure soft finesse in an eco-friendly manner. 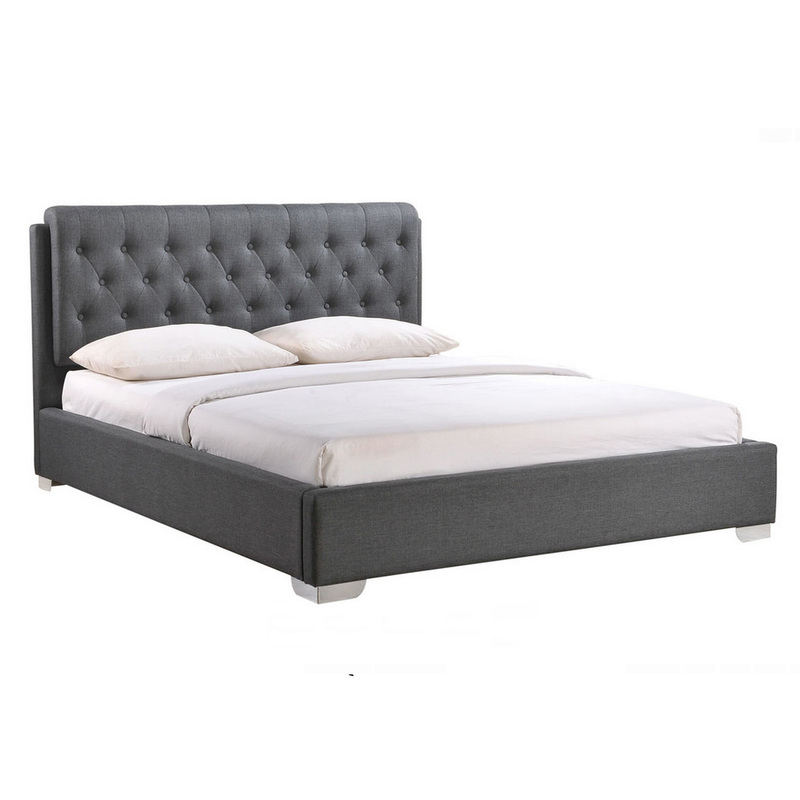 Buy this bed online to experience the unmatched quality of its Sheesham wood frame as well as fabric upholstery. 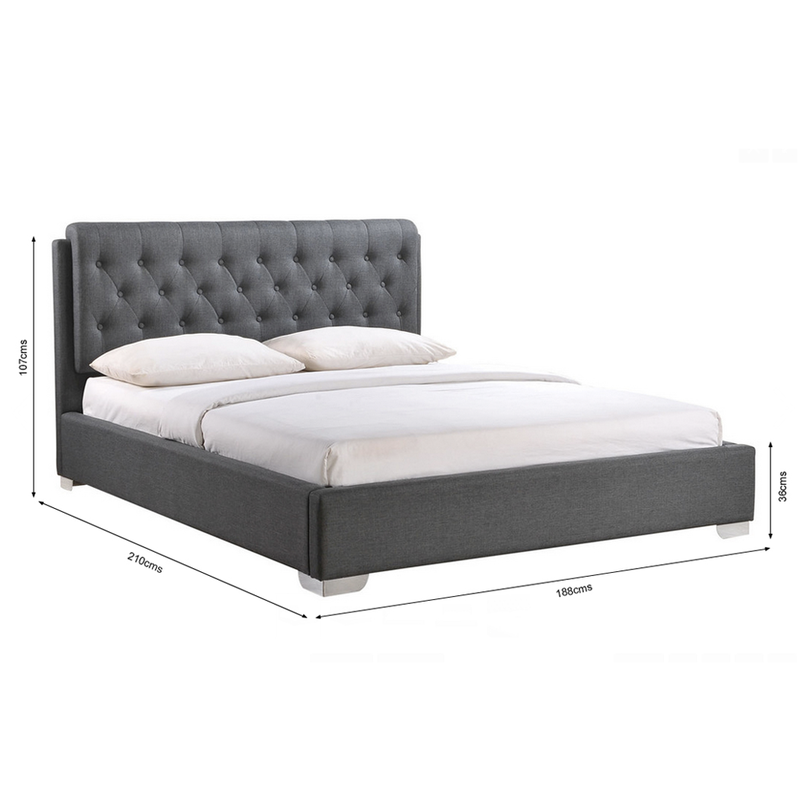 This wooden bed is available in King Size (210*188 cms) and Queen Size ( 210*158 cms) dimensions.